2018Legislation | If you think legalizing marijuana won't affect you... Think Again. Many of you met us last year in Tallahassee when we provided recommendations to help protect our families and neighborhoods from many of the negative repercussions other states have experience when medical marijuana was legalized. Thank you for listening to many of the recommendations; however, as you know our work is still not done. 2. Side-Effects must be listed on each package. 4. Requiring a THC level be capped and boldly appear on the package with random testing of products for accuracy. 5. 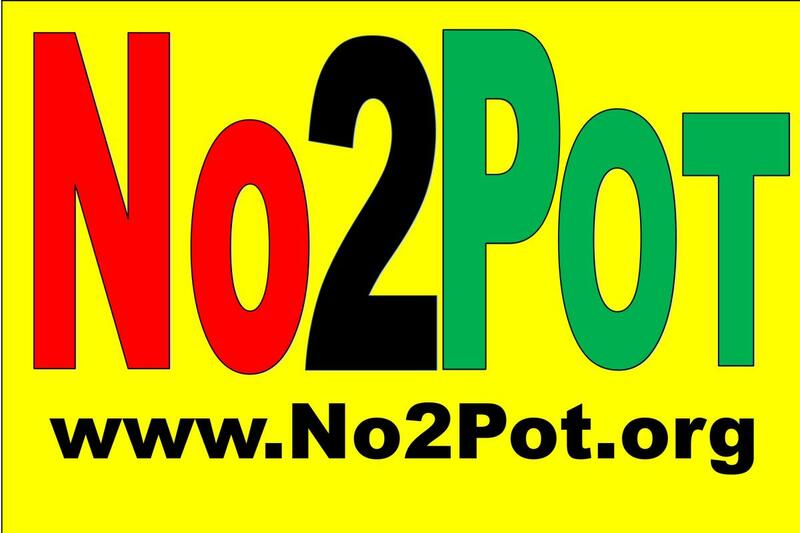 Mandate a zero tolerance for driving under the influence of marijuana. 6. Continue to forbid smoked marijuana as medicine. If you would like some additional information, please do not hesitate to contact us (see contact page) We have attached current information that you may find useful. a. Colorado: National forests has grown so large the entire budget for the Pike and San Isabel forests would not cover the costs of removing and remediating cartel grows in the forests he helps supervise. “Legalization was supposed to get rid of the black market – it hasn’t done that – I would estimate that the black market has grown 20 fold since legalization,” said Gaasche. b. Oregon: On marijuana, the conclusions echo complaints law enforcement officials have raised over the prevalence and black market availability of the drug, particularly cannabis grown under Oregon’s medical marijuana program. a. California: The nets are for helicopters that will lift tons of garbage out of the site. On this reclamation trip, teams ultimately cleaned up about 7 tons of garbage, 4,000 pounds of fertilize, and 4 miles of irrigation tube, and they found the carcasses of three black bears, one grey fox and several rodents and birds. This accounts for just four sites. b. Colorado: These are massive supported plantations, with massive amounts of irrigation. The cartels create their own little reservoirs for water. These operations are guarded with armed processors. 3. Pregnancy: NIDA: Babies born with problems with attention, memory, and problem solving. Women who used marijuana while pregnant were almost three times more likely to have an infant with low birth weight than women who did not use marijuana. 4. Poisoning Under 6- The children who were exposed to marijuana experienced mostly effects such as drowsiness and lethargy, followed by lack of coordination, irritability and confusion. Serious effects were less common, but some children experienced comas and seizures. Around 80 percent of the children experienced effects that last from between 2 hours and one day, according to the study. a. AAA statement: In addition, there’s currently no easy way to test whether a driver is impaired by marijuana: Unlike alcohol, it can’t be determined by breath or blood tests. Marijuana use can slow your reaction time and ability to make decisions when driving. c. The fact is that there is no level of THC in blood above which everyone is impaired, and below which no one is impaired. This is not because we need more studies; it’s because of human biology. 2. FDA policy: The law is intended to assure the consumer that foods are pure and wholesome, safe to eat, and produced under sanitary conditions; that drugs and devices are safe and effective for their intended uses; that cosmetics are safe and made from appropriate ingredients; and that all labeling, and packaging is truthful, informative, and not deceptive. This process provides important protections for patients, making medications available only when they: 1) are standardized by identity, purity, potency and quality; 2) are accompanied by adequate directions for use in the approved medical indication; and 3) have risk/benefit profiles that have been defined in well‐controlled clinical trials. i. Marijuana use directly affects the brain—specifically the parts of the brain responsible for memory, learning, and attention. ii. The compounds in marijuana can affect the circulatory system and may increase the risk of heart attacks and strokes. iii. Smoking marijuana can lead to a greater risk of bronchitis, cough, and phlegm production. iv. Marijuana users are significantly more likely than nonusers to develop chronic mental disorders, including schizophrenia. Schizophrenia is a type of mental illness where people might see or hear things that aren't really there (hallucinations). v. Eating foods or drinking beverages that contain marijuana have some different risks than smoking marijuana, including a greater risk of poisoning. vi. About 1 in 10 marijuana users will become addicted. For people who begin using before the age of 18, that number rises to 1 in 6.
vii. Some research shows that using marijuana while you are pregnant can cause health problems in newborns—including low birth weight and developmental problems. b. American Academy of Child and Adolescent Psychiatry -“marijuana’s deleterious effects on adolescent brain development, cognition, and social functioning may have immediate and long-term implications, including increased risk of motor vehicle accidents, sexual victimization, academic failure, lasting decline in intelligence measures, psychopathology, addiction, and psychosocial and occupational impairment.” Thus the AACAP (a) opposes efforts to legalize marijuana, (b) supports initiatives to increase awareness of marijuana’s harmful effects on adolescents, (c) supports improved access to evidence-based treatment, rather than emphasis on criminal charges, for adolescents with cannabis use disorder, and (d) supports careful monitoring of the effects of marijuana-related policy changes on child and adolescent mental health.49 The College agrees with this position on marijuana. i. Short-term Enhanced sensory perception and euphoria followed by drowsiness/relaxation; slowed reaction time; problems with balance and coordination; increased heart rate and appetite; problems with learning and memory; hallucinations; anxiety; panic attacks; psychosis. ii. Long-term Mental health problems, chronic cough, frequent respiratory infections. a. Establishing levels of impairment are necessary. b. Cannabis potency has risen significantly over the past several decades, with available evidence pointing to an increased risk of Cannabis use disorder, psychosis, acute cognitive impairment, and structural brain changes with use of high-potency Cannabis. Clinicians should consider asking patients who use marijuana about potency to better assess risk of psychiatric adverse effects. c. Potency The simple fact that THC is fat soluble. That makes it absorbed in a very different way and much more difficult to relate behavior to, say, [blood] levels of THC or develop a breathalyzer." The height of your intoxication isn't at the moment when blood THC levels peak, and the high doesn't rise and fall uniformly based on how much THC leaves and enters your bodily fluids, says Marilyn Huestis, who headed the chemistry and drug metabolism section at the National Institute on Drug Abuse.